Classic vintage – This channel allows to obtain the soft jazz drive with slightly dark and dirtied texture and medium tones emphasised, the blues–rock drive with more juicy harmonic tones and the enhancement of higher band registers as well as practically the heavy metal extremely high level drive which fits into playing hard–hit riffs and solos. New vintage – This channel resembles the classic vintage in character. Its higher clarity and dynamics range make it more prone to articulatory nuances while playing an instrument. The sound is 2–dimensional – on the one hand, it is appropriately compressed and dirtied with the increased amount of harmonic evens as compared with channel one, and, on the other, it is transparent, natural and smooth. Its specific character appears mainly when an interacting instrument is equipped with a low–level single pickup and it becomes the stronger the lower the adjustment of the GAIN control is. British vintage – This adjustment allows to obtain classic British sound – hard, but also expandable and dynamic. The sound range includes the light drive with the moderate enhancement of the band limits as well as the hard drive with the blubbery bass and the enhancement of the higher band range. 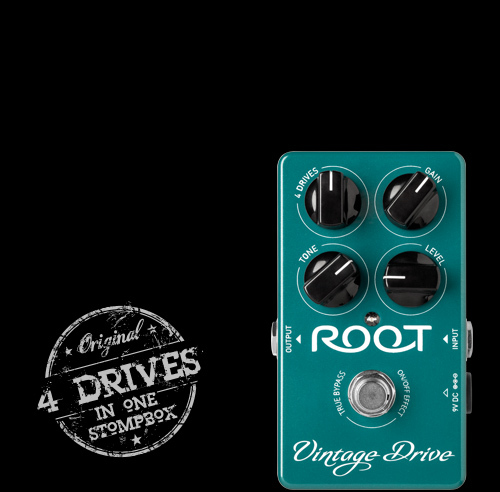 ROOT vintage – It is a channel with balanced natural harmonic tones, both even and uneven. It ensures fat, warm and round sound which is also very dynamic.